When it gets as hot as today, even I feel like going for a swim which is completely out of character for me! But for now I’ll settle with staying inside and enjoying some ice-cream…! 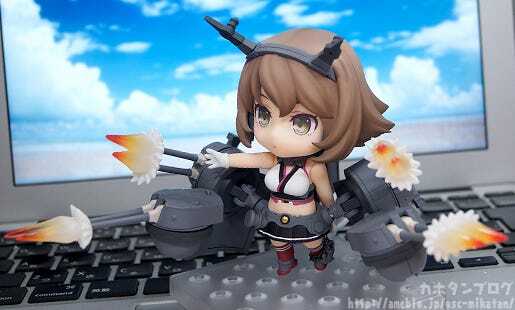 From the popular browser game “Kantai Collection -KanColle-” comes a Nendoroid of the second Nagato-class battleship, Mutsu! 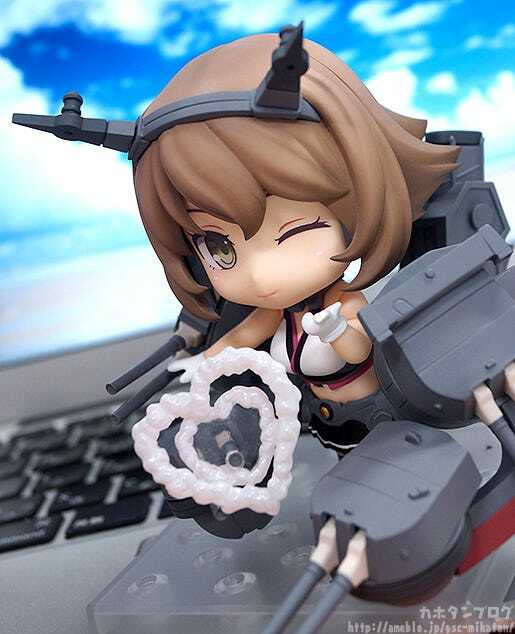 She comes with a variety of turret firing effect parts ideal for combat scenes, as well as a heart-shaped smoke effect part which goes together with her winking face plate perfectly for a cuter pose! 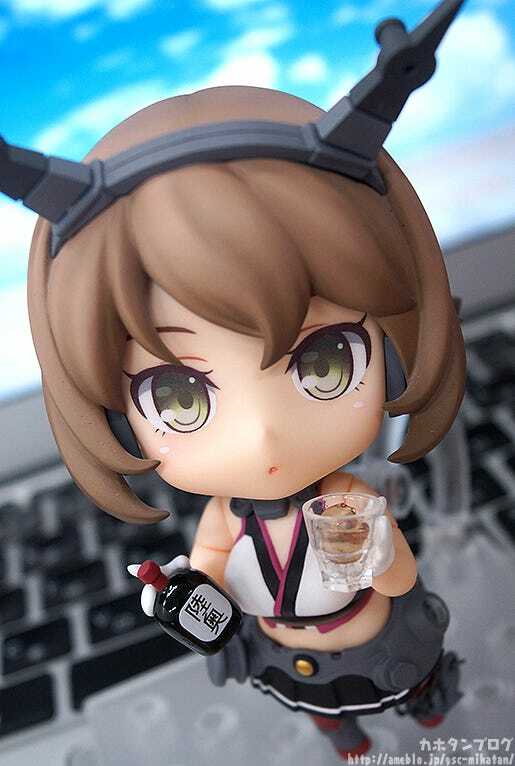 She also comes with a bottle of whisky and a glass as the standard KanColle food parts! 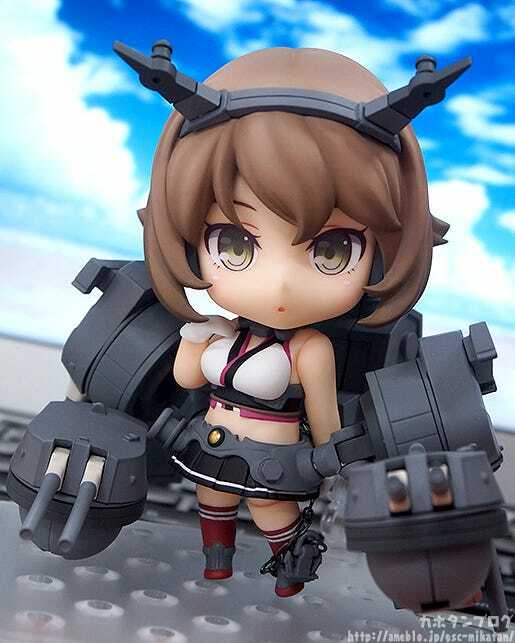 A half-damaged face plate is also included for more flustered poses, together with an explosion effect part which can be placed on her turret! 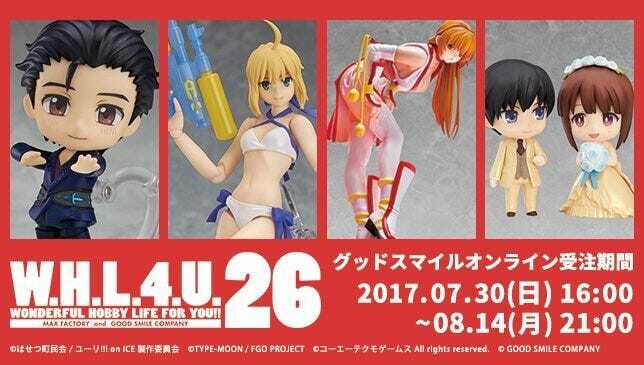 Recreate all sorts of scenes in Nendoroid size! As usual, the turret batteries on her ship parts can all be rotated around and each of the turrets are also individually articulated for lots of flexibility! She also comes with a large selection of firing effect parts to create a more powerful looking attack pose! Plus, along with the standard expression above, he also comes with two more face plates! First, an adorable Winking Expression is included! In addition to the expression a heart made from smoke as well as special hand parts are included which allows you to place her as if blowing a kiss, with heart and all! Or quickly switch up poses for a “It’s our Secret!” kind of pose! A face plate based on her half-damaged appearance from the game! 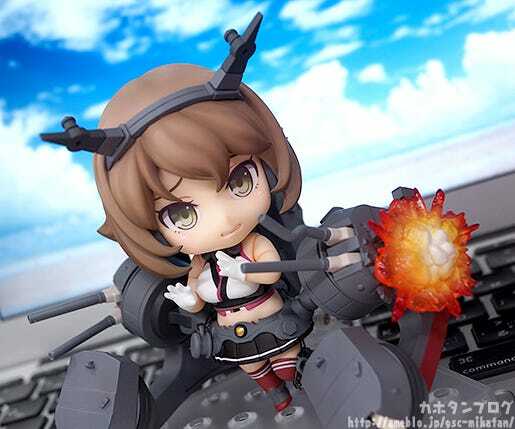 In addition, she also comes with an explosion effect part for her third turret which makes the worried looking expression more believable! How could anyone say no to an adorable face like this?! 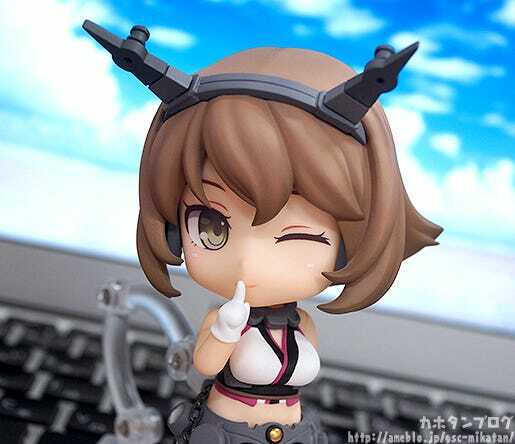 Preorders from the link above will include a ‘Nendoroid Mutsu’ Special Box Sleeve & Special Nendoroid Base & Clear Ocean Display Sheet! 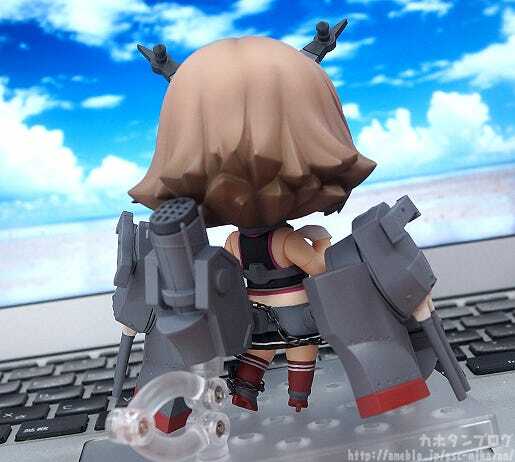 We also have many more KanColle figures in the works, so stay tuned! !